#ScottPruitt 📣 Retweet if you want to see SCOTT PRUITT investigated, indicted, convicted, and incarcerated. #MichaelFlynn, natl security adviser: On job <1 month b4 resigning; pleaded guilty to lying to #FBI re contacts w/#Russia. 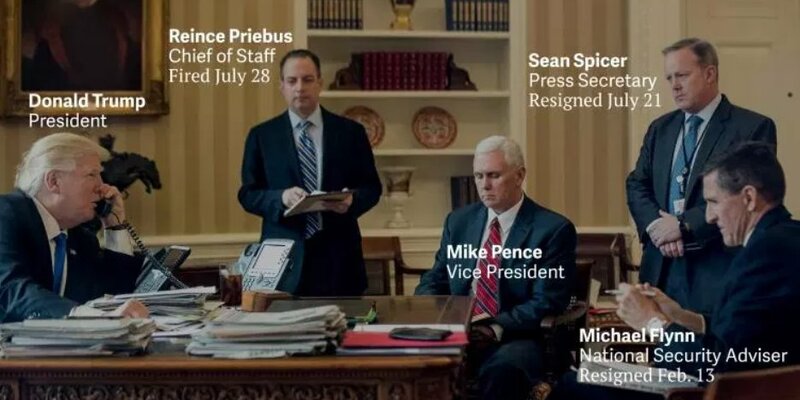 #ReincePriebus, chief of staff: Resigned after 6 mos, comically ineffectual. #SeanSpicer, press sec: Terrible liar, resigned after 6 mos. #AnthonyScaramucci, communications director: Lasted 10 days after series of unhelpful media appearances. #RobPorter, staff sec: Resigned after allegatns of domestic abuse surfaced frm 2 ex-wives. #StephenBannon, chief strategist: Pushed out after 7 tumultuous mos. Thread: USA viewed as 'client state' under political and economic control of Russia. Already it's exhibiting characteristics of a "post-socialist' / "2nd world" country. 1. "State Capture:" consolidation of one-party rule under a pretense of multiparty democracy. 2. Complete repudiation of prior political regime. Curious about the invocation of Providence in Pruitt’s resignation letter? This thread may help you grasp the politics of Providentialism that conservative Christian ideology entails. 1/ Scott Pruitt was recently confronted by Kristin Mink in a D.C. area restaurant. Ms. Mink is sixth-grade teacher and mother. While holding her two-year-old son, she spoke briefly to the chief administrator of the Environmental Protection Agency. 2/ What follows is a partial analysis of Scott Pruitt's nonverbal behavior. I stumbled on to a project, kept under the radar, in the works for years, to mine rare, metallurgical coking coal at the Ok/Ark border, between entities in Ok, Ark, and Australia, with plans to transport it to Brazil for steel making.